Here are 5 things you should consider when choosing a company to replace your roof. 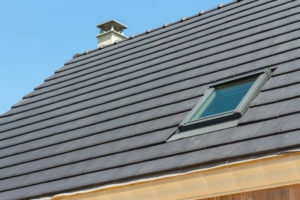 The roofing process can be daunting, however, if you go through these categories, the process can be very smooth and you’ll end up feeling great about your roofing experience. 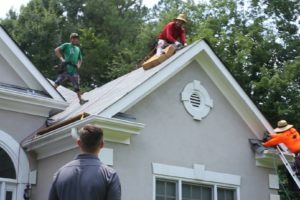 The DeLaurier Roofing and Renovation teams’ goal is that you feel confident with the entire experience, so we’ve created this list of 5 things you should consider when deciding on a roofing company. Insurance is essential for an industry that is as high risk as roofing. It is important to make sure the roofing company you hire carries both workers compensation and general liability. 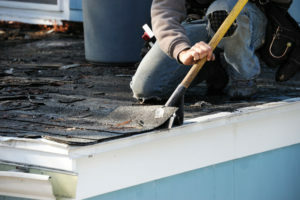 It may be arduous, but call and confirm that the insurance is current and valid for roofing. 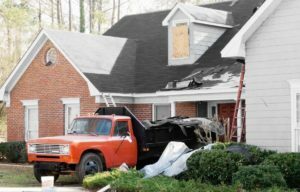 Choosing a local Athens, GA roofer can have many advantages. Along with needing to uphold their reputation in your community, hiring a local roofer can save you time and be more convenient: if you ever need a representative to come out to your home, you won’t have to wait until they have an opening several weeks or even months down the road. Most people check reviews before purchasing a product or hiring a service, and the same should definitely hold true for your roof replacement. 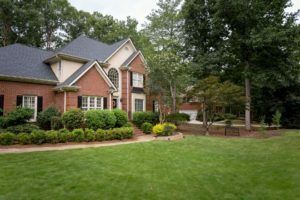 The Athens and Watkinsville, Ga areas are a small and close-knit community that rely on high-quality service companies. Online reviews are a great way to check up on the history of a given company. Communication has always been important in business, but especially when you’re having your roof replaced. Presenting a detailed estimate and contract is an essential first step in this decision. After choosing the roofing company, continued updates help give you, the homeowner, peace of mind. There is a saying,“someone can always do it cheaper”, which is especially true in the roofing industry. Choosing high-quality roof systems and not just “good shingles” is critical. Every manufacturer requires a complete roof system to be installed in a specific way to maintain the warranty. Make sure the company you hire to replace your roof understands the details of how the materials should be installed on your roof. Thanks for reading our blog. If you have any further questions about roofing services in the Athens and Watkinsville, GA areas, give us a call (706) 343-9075.